I had the privilege of visiting the Setia Darma House of Masks and Puppets during a recent trip to Bali. 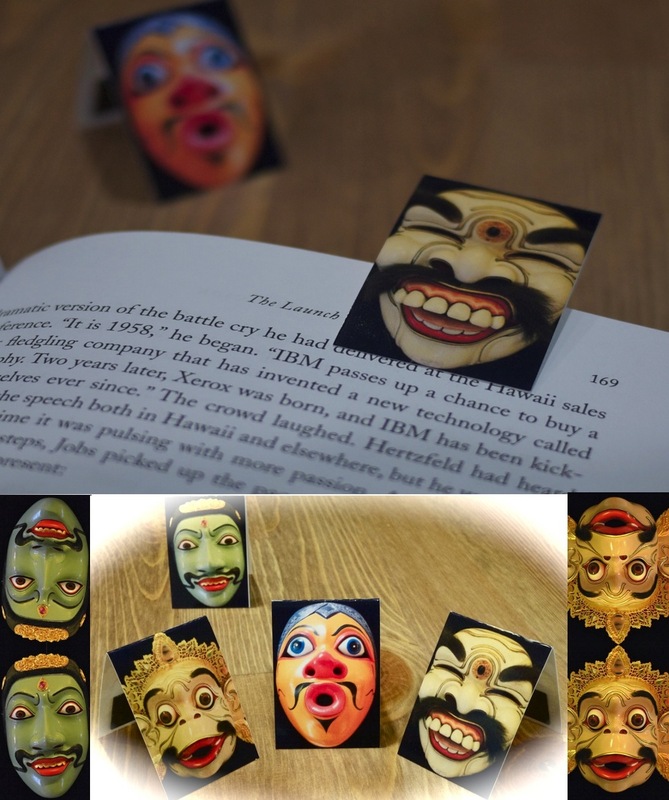 The mask photos are perfect for this mini bookmark project because they are close-up portraits. Any close-up image will do – for example photos of your loved ones,pets, flowers,etc. Duplicate first image and flip vertically. Put this on top of first image. Do the same for the other three images. Stick a strip of magnet on the back of each half. Your bookmarks are now ready. Enjoy this week’s reading and don’t forget to use your bookmark! 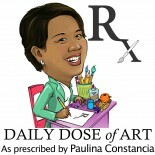 This entry was posted on January 30, 2012 by Paulina Constancia in Create, Teach and tagged Arts & Crafts.